Microsoft Office redefined our style of working in both professional and personal space! From simplifying basic to complex calculations, to writing long reports within no time, it also helped you get that much wanted promotion with some amazing presentation making tools. It is hard to think a life without MS Office. Of course, time there have been many corrections and updates introduced by developers to make the tool more convenient and accessible, which makes it all the more popular. MS Excel, the most used tool of the Office, contains what the world really needs, database and calculations! Despite you being a master at using it, there are a plethora of functions that go unexplored. One of such function is how to hide columns and rows in Excel, which may seem simple but might struggle with. Launch MS Excel and open the file/database you want to work upon. Select the columns and rows you wish to hide (use the mouse and Ctrl key if you want to select more non-contiguous rows or columns). Click on the Home tab located at the top left-hand side. Select Hide & Unhide option under the Visibility section. Select the rows/columns you wish to hide. Your rows and columns are now hidden. Click on Data tab on the top. To help you better, Excel offers to show hide buttons to toggle you better. It lets you access the desired data within the limited screen size. 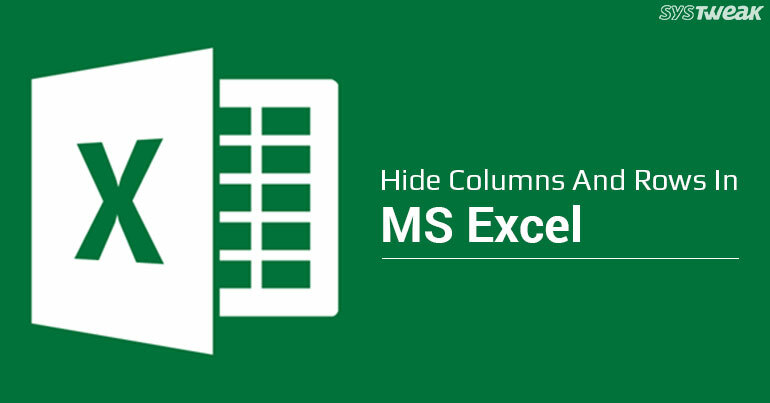 Now that you know the steps to hide and unhide rows and columns in Excel, you can help your professional and personal skills to grow with it. The fundamental reason to hide and unhide is to get a proper view of a big database on a limited screen size. It disappears the content which isn’t or is less relevant to what you’re seeking.